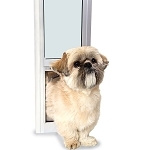 This pet door will allow your pet to come and go, but will not open for neighborhood cats, raccoons, skunks, etc. Pets wearing the Ideal E-Sensor Collar are the only animals that can gain access to your home. 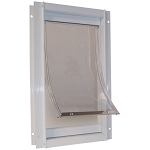 The e-Cat Electronic Cat Door was designed with your pet s safety and sense of adventure in mind. The E-Sensor Collar allows only your pet to activate the electronic cat door for easy and controlled access. Additional collars are available for multiple pet households and can be purchased separately. This is a magnetc cat door. I had to make a collar and attachment so the magnet would hand down far enough to work. The door does not swing shut after cat enters. Have to manually push it shut. But, it works better than the previous one and is larger. Q: I'm looking for a cat door that's activated for exit and entry via a magnetic collar. Is this door compatible? Yes, this door requires the cat to wear a collar with a magnetic key that allows them to enter or exit the pet door. A: All electronic pet doors make some noise when the open. This is just the nature of the product due to having gears and/or belts and pulleys depending on the type of door. We have never had a customer complain about the amount of noise from this door. Q: is there a wall kit for this door to install through a wall? Is it ok to use this door for a dog as well? A: The e-Cat Electronic Pet Door is not meant to be installed in walls so therefore there is not a wall kit for the door. 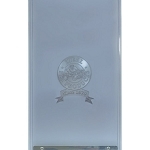 As long as the dimensions of the opening are suitable for your dog it can in fact be used by a dog. Q: Will the door install in a garage door? The Manufacturer does not recommend installing this door in a garage door due to possible interference and not working properly. Q: does the door automatically lock both ways, in and out? I only want my cat to get out, not my small dog. Yes it does. It will only open for a pet wearing the e-Cat collar (IPP-EBC). Q: What is the range of the collar? How close do they have to be to the door before it unlocks? A: This collar works off a magnetic system so the collar actually has to make contact with the frame in order for the electronics to be initiated. Q: How does remote work? A: It isn't actually a remote. Your cat wears a key on a breakaway collar and as long as the key is within range of the door it will open. Q: If this can not be installed in a wall, how then is it installed? 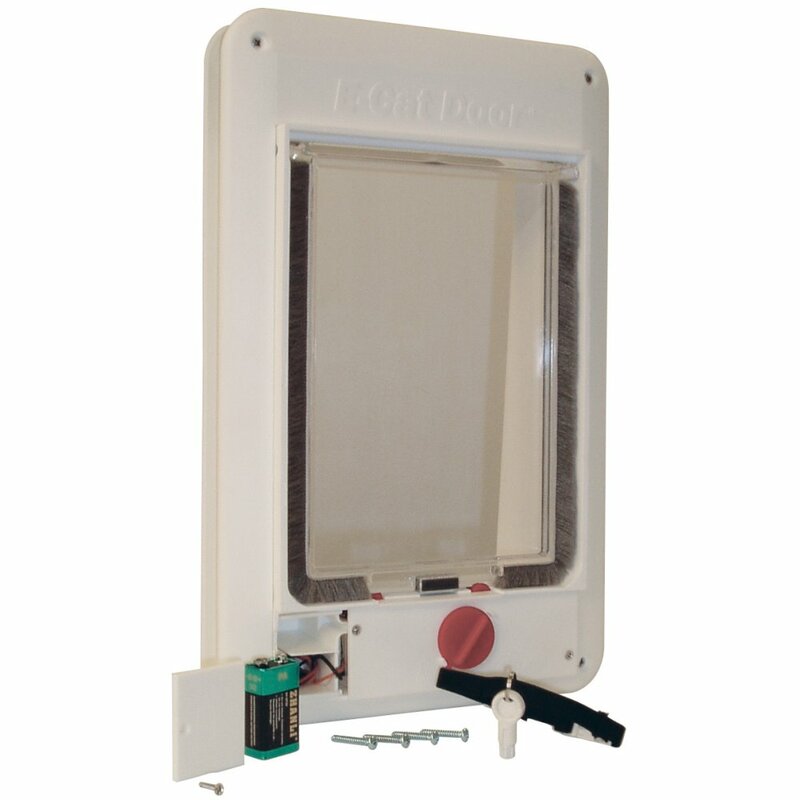 The Ideal Pet e-Cat Electronic Pet Door can only be installed in doors from 1-1/4" to 1-3/4" in thickness.